Add a custom backdrop to your band's live set and let the whole crowd know who they're rocking out to. Upload your band's logo from your computer or design your own custom backdrop using our Online Designer. 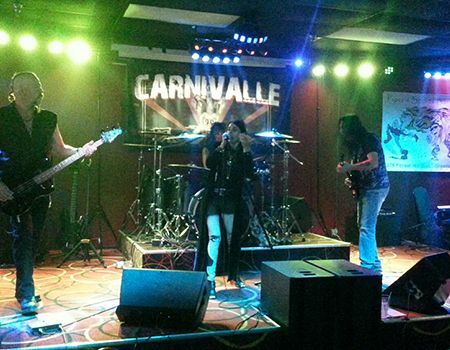 We also have professional designers that can assist you in creating a backdrop for your band. 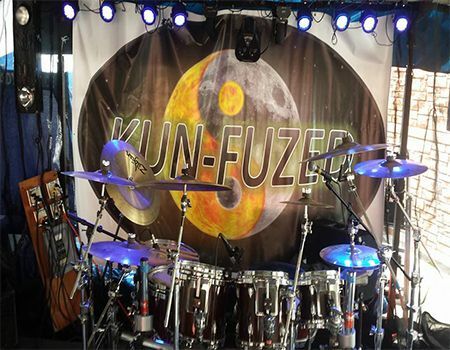 Our custom vinyl banners can be printed up to 16 feet by 50 feet, so whatever size stage you're playing we have a banner for you. We also have a wide variety of banner stands and retractors that make set-up, tear-down, and transportation as easy as possible. Also, check out our mesh banners which are ideal for outdoor shows as they are better suited for wind than a standard vinyl banner.